Åmål is a Municipality in the western part of Sweden. 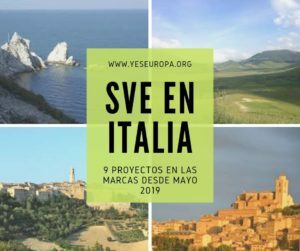 The city is participating in several projects supported by the European Union. We are also one of 16 host organizations in Sweden for the European network: Europe Direct. The town council has in their strategy plan written the importance of working with youths and get them involved in the society. By having volunteers in Åmål and the neighboring cities, the youths will get a chance to meet people from other cultures and learn from their experiences and maybe get influenced to travel by themselves one day. The Municipality of Åmål will be responsible for accommodation, local transports, social activities and for arranging Swedish lessons for the volunteers coming to the projects we coordinate. Åmål is situated in the western part of Sweden at the shore of the big Lake Vänern. In the Municipality lives approximately 13.000 inhabitants and in the City of Åmål approximately 10.000. With its beautiful location at Lake Vänern and downtown harbour, Åmål is an idyllic small town. There is a wide range of activities to choose from: boating, fishing, swimming, hiking, biking, horseback riding, to name a few. There are also many music and art events that highlight the rich cultural community in Åmål: The International Blues Fest, Art Walk, Book Festival, Culture Festival, and more. The volunteer will stay in a small apartment (1 room, Kitchenette cabinet, wc/shower) or a 4-room apartment that will be shared with other volunteers. The apartment has Wi-Fi-connection, if the volunteer brings her/his own laptop. Several other volunteers will also stay in the same building or the building nearby. The volunteer is allowed to have four weeks of vacation during a one-year period. Every month the volunteer will get money from the municipality to be able to buy her/his own food. The distance between the apartment and the office is about 20 minutes to walk. The work at the Europe Direct office is based a lot on taking your own initiative, to come up with ideas on what kind of different activities that can be arranged for the public and at different schools etc. The volunteer has the opportunity to come up with an own little project that can be implemented together with the staff at the office. Most of the time the office is out informing about EU in general and what possibilities EU has for young people. The volunteer will join the office in these activities. By meeting a lot of different people the volunteer will improve his/her communication skills to other people and also his/her presentation skills in front of bigger groups of people. The volunteer will also gain knowledge about the different programs that EU offers young people to go abroad. Connected to the Europe Direct office we have a group of youngsters interested in international matters. We meet them once a month to discuss EU-related matters and learn something about different countries and cultures. The volunteer can actively participate in these meetings. We hope that the volunteer will grow as a person and believe in what she/he is doing. The volunteer will also have lessons in Swedish language every week, together with other volunteers. 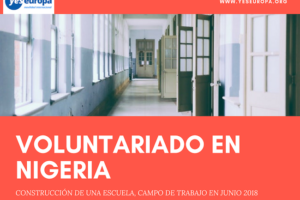 In the beginning of the voluntary period we go through the different activities that we do at the office in order to inform the volunteer about it and to see where his/her interests are. For each new task the volunteer is dealing with he/she gets an introduction and the support that is needed. During the project we support the volunteer as much as it is needed from his/her side but also let him/her work independently. We arrange regular evaluation meetings to see if the volunteer is satisfied with the tasks. But as we are working together closely there is always the possibility to talk with us. 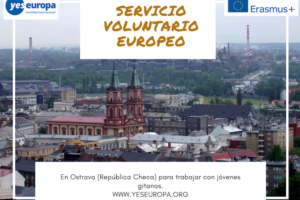 The volunteer´s main role within the youth-info project will be to inform young people in our area about different possibilities to go out as volunteers, on youth exchanges etc. But also to be a helping hand in speaking with young people at our front-desk and handle out information about all the other possibilities EU has for young people. The volunteer will support individuals and groups of young people in preparing, applying and finding partners for EVS, youth exchanges etc. The staff at the Europe Direct office informs about all EU-programs, but have very little time to give support in writing applications. The volunteer will under supervision from the staff, support young people in making reality of their own ideas. The volunteer at the Europe Direct office contributes with an international/ European dimension just by being there. While being out together with us at schools the volunteer makes everything more authentic for the youths. They learn so much by getting the chance to meet a person from another country that can share his/her experiences. Maybe we can with the support from the volunteer, contribute in the long-run to a better understanding for other cultures. We can also show the small town on the countryside that we are a part of Europe. The volunteer at the EUROPE DIRECT OFFICE will have very various tasks. It can be all from assist the personal with writing different applications, arrange youth conferences to present the office at different fairs and help us updating both our website and Facebook-page. But also to assist the office by being there for persons who visit the office and have questions. One important task will be to go out in schools and talk about the different opportunities the youths have in going abroad working or studying, EVS etc. Schedule: 08.00-15.30 Some evenings or weekends and if so the next day off. Working time weekly 30 to 40 hours including education in Swedish 2 hours. Open mail, help out in holding the office open, and answer questions from the public. Prepare the week’s school visit. Working with their own project for example preparing a democratic workshop for youths. Continue preparing the visit at the school. Open mail, help out in holding the office open, and answer questions from the public. Meet youths which are interested in EVS and help out informing them about how it works. Study visit by a group of unemployed youths, show the office and inform about our work. Meeting with the Europe Direct youth panel- Discuss actual EU-matters and future youth activities. Meeting in Gothenburg together with the representatives from other Europe Direct offices in order to plan the up-coming Europe week. Open mail, help out in holding the office open, and answer questions from the public. Visit a school in Mellerud to inform about EVS. 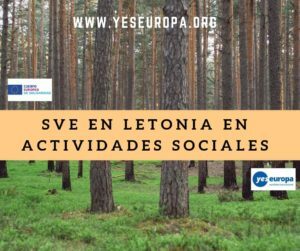 Help out in preparing different up-coming activities, like European youth week, The European language day, youth debates etc. 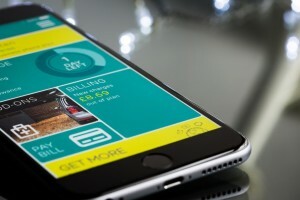 The working tasks are different from week to week, which means that this is only an example on how it can look like. All the interested volunteers get information about our project and an application form is sent to them. A date is set for them to be submitting the application so we have the time to select the ones appropriate for our project. To make the selection as fair as possible a working group with persons involved in the project is set up to decide which volunteer fits in on our profile. The volunteers get selected from their interest and personality suitable for the placement. We want persons interested in the specific area that they applied for. That means that volunteers applying for the Europe Direct office should have an interest in European matters. By cooperating with the hosting organization, and mainly having contact with the volunteer itself we make sure that everything goes well. In case of emergency such as injuries or even worst case scenario severe accidents we make sure the hosting EVS-organization do have all contact information needed, such as numbers to family and our organization. All information about risks and crises to the volunteer will be introduced in advance by us as the sending organization. If our volunteers feel he/she needs support, whether it is about emergencies or homesickness, we make sure that our volunteer knows who or where he/she can get help at the actual place. If we send EVS volunteers aged 16 or 17 we make sure that they have appropriate supervision, suggestively from us we encourage the hosting organization of placing a mentor, which will support and have continued conversations making sure everything is well with our volunteers. 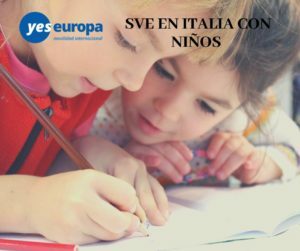 All documents written in english you can send to: asociacionbb@gmail.com with subject “EVS Sweeden Disability”.